Shut the tinsel covered front door! 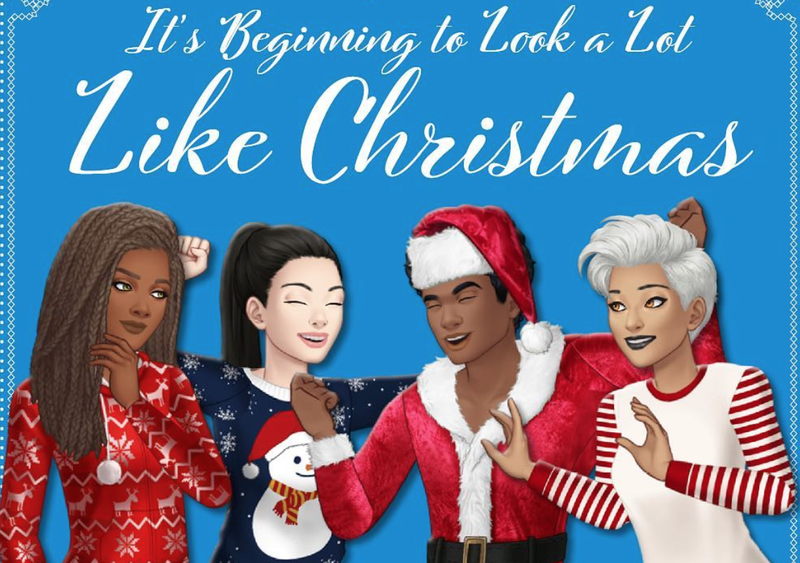 Getting into that Michael Bublé, mulled wine, mince pie, cover everything with glitter festiveness that is Christmas spirit, Episode have released Christmas clothing and new festive animations! Release the party poppers! So it's not just you that can now get into the holiday mood, but your characters too. I've taken a look at the list and lemme tell you, some of that stuff is pretty freakin' adorable. I mean, fur lined Santa pants and festive onesies?! C'mon, even The Grinch couldn't deny the cuteness levels. And did anyone think that I would let a new clothing post go past without mentioning The Sims at all?! Hah, more fool you if you thought I wouldn't talk about it and never again underestimate the obsession. I died, DIED I tell you when The Sims 3 came out with the seasons expansion pack and it had a full on Christmas/Holidays season complete with onesies, Christmas tree, presents, fairy lights for the house, oh my days someone stop me cos I can keep going. I would actually make the fall season go quicker because I was so obsessed with the winter season. Okay, I've completely gone off track of what I was talking about. Pardon me. Anywho, point is, the new releases remind me of that Sims game and y'all should be as excited as me about it. Period. If anyone made it to the end of this point, here's a virtual high five. Now, don't mind me, I'm gunna get myself a mulled wine and listen to some Mariah Carey. Episode Life: New Christmas Releases!